Capture video and images of your screen and share them with anyone instantly. No upload time and no hassle. With the Cloud Recording technology your screencasts are uploaded to our secure video platform while you’re recording. You don’t have to connect to third-party services like DropBox, YouTube, Google Drive, etc. You don’t have to wait for your screencasts to upload. Will ScreenRec work if I don’t have an internet connection? ScreenRec will queue your screen captures and auto sync them with your cloud account as soon as you’re back online. Can ScreenRec save my files locally? Yes. 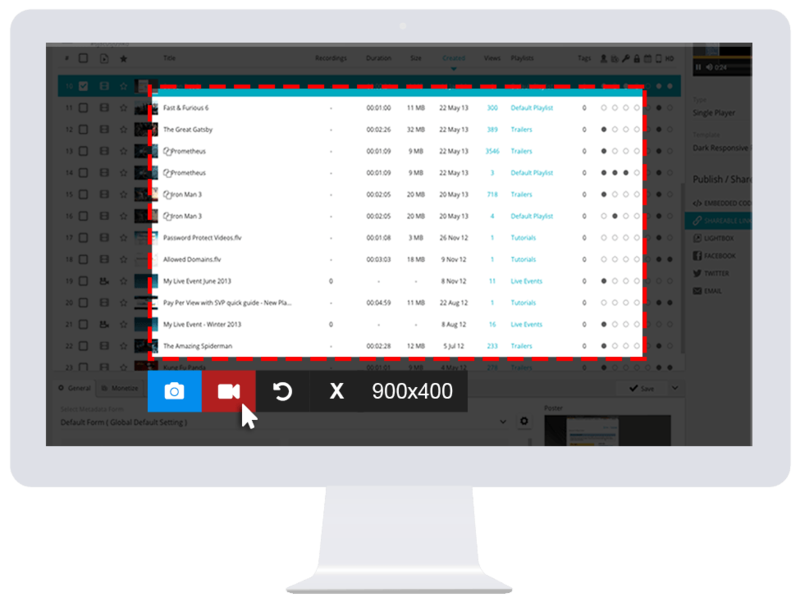 ScreenRec saves your screenshots and screencasts to your local hard drive. You can view these local copies whenever you need to. Does ScreenRec work on all desktop computers? Yes. ScreenRec works on Windows, Mac and Linux. Will my screencasts play on all devices? Yes because they are stored in your cloud account. Anyone can view your screencasts on any device, including mobile. Is there a recording limit? There is a 5-minute recording limit on the free version. ScreenRec Pro allows has unlimited recording time. Can I record my voice? Yes. You can record your voice while recording a screencast. You also have the option to toggle voice recording on or off.